This is exactly what I was looking for! 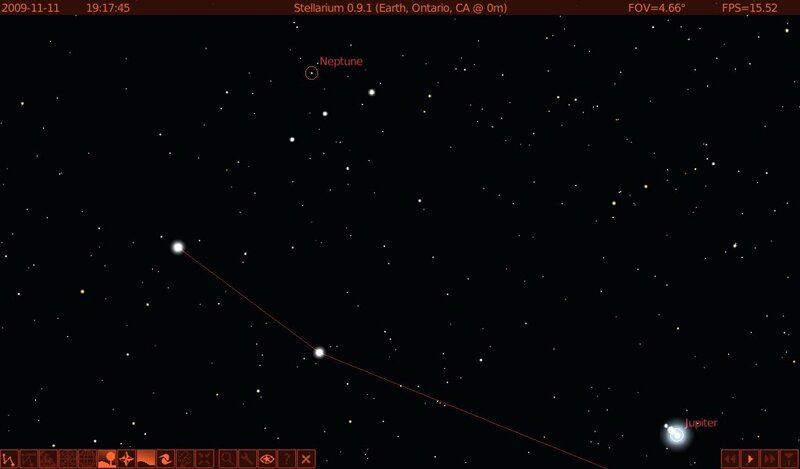 From Stellarium, I knew to find the three stars in a row, but since I can’t see them in my light polluted skies, it was a guess as to where they were. Getting there via the two brighter stars will help, though, I can’t see those either, without at least my binoculars – now you probably wonder what it is I CAN see!